"Why Poetry Can Be Hard For Most People" by Dorothea Lasky was offered by Poets.org's Poem-A-Day on September 12, 2013. 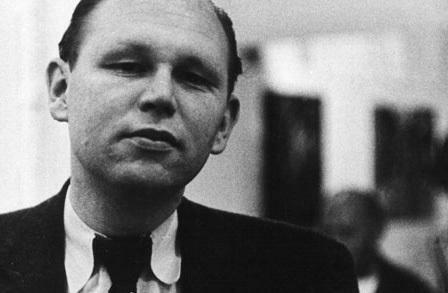 The poet reveals in her notes that she was inspired by Jack Spicer's (pictured) notion of speaking to the dead. I believe the point that Ms. Lasky makes, however, is that poetry is not difficult for most people to understand, but that (good) poetry is difficult to write.